Autism used to come with certain images of antisocial, even violent behavior and ideas of pure genius locked in mental isolation. Early research was incomplete and inconsistent, leading to shocking conclusions which are now debunked, such as the idea that autism was a result of a parenting failure. 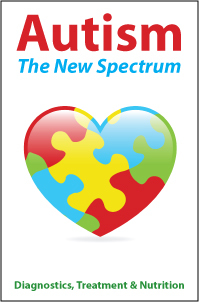 Thankfully, since the 1970s it has been accepted that autism spectrum disorder (ASD) is a problem of neurodevelopment and that appropriate interventions lead to improvements and better quality of life for the impacted families. Joint efforts of private and government funding on ASD research bring new findings. The most common problem of children diagnosed with autism spectrum disorder is finding an appropriate way to communicate with their family. Since autism tends to run in families, another study focused on baby siblings of such families in order to observe any differences between them and non-autistic children. In the second year of infants’ lives, the researchers correlated the overgrowths of babies’ brains to the severity of autism symptoms. The bigger the overgrowth, the more severe the symptoms were in children. This study relied heavily on the well-known fact among psychologists that not looking at people’s eyes and mouth is an early sign of autism in children who would later develop it. Now the scientists also confirmed that such behavior is inscribed in the genes and puts more emphasis on early social interventions. Another predictor seemed to be an increased cerebrospinal fluid in the brains of babies who later developed autism. As a follow up to an earlier study, Mark Shen confirmed that the amount of cerebrospinal fluid is an early biomarker of ASD. It is unclear whether this symptom has anything to do with inflammation or if it is genetic, so further research is needed. The ongoing struggle that genetic engineers face is to pinpoint the exact genes which are responsible for autism spectrum disorder and whose mutations affect the developing brains of children. Using the method of whole-genome sequencing of families with ASD, researchers recently managed to identify 18 new possible genes to blame. A related study took a look at 16,000 international participants and noticed a transcription factor in certain genes which has a role in neural changes. Not surprising, these are the same ones related to social skills. Moreover, the researchers identified a strong genetic overlapping with troubling regions of the gene in cases of schizophrenia. A study by pediatric psychiatrist Jonathan Green focused on younger siblings of families with a higher risk of autism spectrum disorder. Participating parents videotaped interactions with their toddlers at home and revised them with professionals to gain advice on how to adapt their behavior, in order to better communicate with their children. The children who participated ended up having better IQ and social skills, like maintaining eye contact and also greater social responsiveness. The targeted participants were very young, up to 3 years of age, and provided important data on how brains of affected children respond better to empathic than directive parental guidance. The researchers hope to complete further studies with more children in order to confirm their findings. All these findings confirm the importance of neuroimaging, neuropsychological tests and genetic research with all autistic individuals and their families. Further clinical research could compare the findings with study results of other neurodevelopment disorders in hopes of noticing any similarities or patterns. Finally, while most autistic children have some more or less severe communication problems such as speaking impairments, the most commonly researched medications are those for externalizing behaviors such as irritability and aggression. It may sound disheartening but there are no known cures for any neuropsychiatric diseases, so the goal of medication is only to improve the quality of life of those impacted. 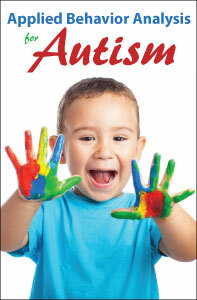 No two cases of autism are the same, hence the name autism spectrum disorder. It therefore makes sense that there isn’t a single cure, rather each child needs to be examined individually and have specifically targeted interventions, with an absolute must of parental and family involvement. However, the continuing funding into research does give hope that families at risk will be able to notice early predictors and learn to cope with the newfound situation appropriately. Rachel Fink is a mom of 7 and contributor at Parenting Pod. She has a Bachelor’s degree in Applied Science and Engineering and enjoys to share her expertise and experience on a variety of topics. Applied Behavior Analysis for Autism is a 2-hour online continuing education (CE/CEU) course that provides evidence-based behavioral interventions for the minimally verbal child with autism. The prevalence of autism spectrum disorder (ASD) currently seems to be holding steady at one in 68 children (or 1.46 percent). The communication challenges of these children are widely known and require specialized early interventions to overcome them. 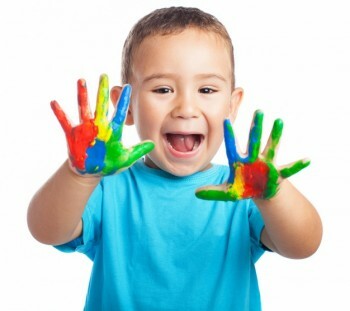 Applied Behavior Analysis for Autism is a new 2-hour online continuing education (CE/CEU) course that provides evidence-based behavioral interventions for the minimally verbal child with autism. Autism spectrum disorders (ASD) have been studied thoroughly and yet there are still numerous mysteries to these types of behavioral disorders. To make matters worse, there are several contradicting study results that only confuse the public more about ASD. For instance, a study released in 1997 claimed that the measles vaccine was linked to autism. This study has since been disproven across nine separate research reports. Thus, it’s easy to see why behavioral disorders like ASD are such a mystery to doctors and parents. There is a lot more about ASD that we don’t know than we do, but it’s still important to understand as much as you can about ASD so that you can detect it early. We know that ASD can be diagnosed as early as age two and that screenings at a young age can help identify any behavioral disorders early on. We have also learned a great deal about teaching parents to properly manage children that do have ASD. In fact, there are many training courses that parents can take to help better understand how to properly work with a child that has ASD. 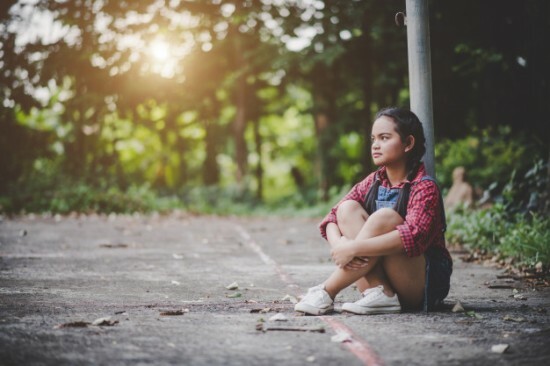 Even though there are no current cures for ASD, in many instances, proper management, behavioral therapy, and medication can all help mitigate the severity of the disorder. Understanding ASD, its causes, and treatment are all important tools to help you work with a child who suffers from autism. If you’d like to learn more about the mysteries behind ASD, you can test your knowledge by taking the interactive quiz below. HealthIQ’s mission is to improve the health of the world. In pursuit of this mission, they’ve created over 2,000 quizzes and worked with innovative insurance companies to create financial rewards for health-conscious people. To date, Health IQ has helped thousand triathletes, vegans, runners, and other health conscious people secure billions in life insurance coverage, and they hope to expand to other financial rewards in the near future. By Wilczynski, Susan M, PhD, BCBA; Sutro, Leslie, PhD. The Exceptional Parent 38.9 (Sep 2008): 77. When considering different treatment options for a child with autism, it’s important to know if research has verified that a treatment is effective. There are lots of treatment options available, and while many of these may be supported by personal testimonials, many have not been shown to be effective by scientific studies. How do parents know what studies to look for and where to find them? Many studies do not meet these standards and are therefore not fully contributing to our knowledge about treatment effectiveness. Pseudoscientific studies involve information that sounds scientific, but in reality is not; they are not based on good scientific methods. One way to decide if a study is science or pseudoscience is to look at whether or not the study is a peer-reviewed study. The peer review process involves having other experts in the field read the study to determine if it is of good enough quality or makes an important enough contribution to the field to be published in a professional journal. Peer review is an important process because it ensures that a study meets the minimum acceptable standards of science. Many public libraries have access to databases that contain links to peer-reviewed articles. University libraries and the Internet are also excellent resources for locating research databases, such as PsyclNFO (http://psycnet.apa.org.ezproxy.snhu.edu/index.cfm?fa=search.advancedSearchForm) and Medline/PubMed (http://www.pubmed.gov), which often contain a number of articles related to autism treatment. There are also certain Web sites for locating peer-reviewed articles (such as http://www.scholar.google.com.ezproxy.snhu.edu). The National Standards Report, a document that identifies the quality of research support for educational and behavioral treatments for schooled children and adolescents with autism spectrum disorders is expected to be released by August 2008 by the National Autism Center. This new resource will make it much easier for parents to determine the effectiveness of various treatments for autism. Scientific support is only a first step. There are several other key considerations when making treatment decisions. First, professional judgment should play a significant role. Even if a treatment has good scientific research support, it may only be applicable under certain conditions that may or may not be available. 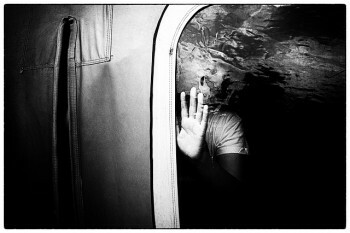 second, the thoughts and opinions of parents and sometimes the children themselves should be taken into account. Third, ongoing treatment decisions should be based on data whenever possible. Data collection is crucial to determining if a child is responding positively to a particular treatment. Finally, the training and knowledge of those implementing a treatment should be considered. Once a treatment is chosen, the child’s treatment team should determine what they need in terms of training, feedback, and materials in order to provide that treatment accurately. There are several “red flags” that parents should be aware of when trying to decide which treatment to choose for their child. Unfortunately, there is no magic cure for autism. When considering a treatment, parents should watch out for exaggerated claims of a cure, especially if the treatment requires a significant financial commitment. In addition, parents need to be aware of the marketing aspect of what they read. No one will advertise a treatment with testimonials saying that a treatment does not work, but positive testimonials do not always mean that treatments are effective. Additionally, when pursuing biomedical treatments, parents should always consult with a pediatrician or some other medical professional. Finally, they should be cautious of treatments that may cause direct physical harm to their child. This is a test only course (book not included). The book can be purchased from Amazon or some other source.This CE test is based on the book “Apps for Autism” (2015, 436 pages), the ultimate app planner guidebook for parents/professionals addressing autism intervention. There are hundreds of apps for autism, and this course will guide you through them so that you can confidently utilize today’s technology to maximize your child or student’s success. 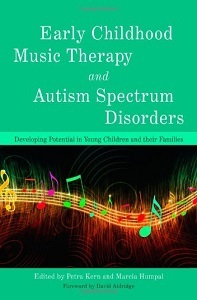 Speech-language pathologist Lois Jean Brady wrote this book to educate parents and professionals about the breakthrough method she calls “iTherapy” – which is the use of mobile technology and apps in meeting students’ individual educational goals.For those who are new to the wonderful world of apps, worry not! This award winning reference will review hundreds of excellent apps, accessories and features organized into 39 chapters for parents and professionals alike. There are also helpful sections of how to choose apps, evidence-based practices, choosing an iDevice, internet safety, a helpful toolbox and much, much more. It is well-established by research that many learners on the autism spectrum benefit from the use of visuals. How can we go beyond a basic use of symbols to create and implement individualized visuals that will help our students learn and communicate more comprehensively? Participants will learn about considerations and strategies to take into account in order to put more effective visuals in place for their students on the autism spectrum. Topics covered include: broadening symbol selection, adding layers and additional components to visuals in order to make them more motivating and meaningful, providing visuals for a wide variety of expressive communicative functions, and using visuals for comprehension and organization as well as expression.The course video is split into 2 parts for your convenience: part 1 is 56 minutes and part 2 is 57 minutes. The first section of this course traces the history of the diagnostic concept of Autism Spectrum Disorder (ASD), culminating in the revised criteria of the 2013 version of the Diagnostic and Statistical Manual of Mental Disorders, the DSM-5, with specific focus on the shift from five subtypes to a single spectrum diagnosis. It also aims to provide epidemiological prevalence estimates, identify factors that may play a role in causing ASD, and list the components of a core assessment battery. It also includes brief descriptions of some of the major intervention models that have some empirical support. Section two describes common GI problems and feeding difficulties in autism, exploring the empirical data and/or lack thereof regarding any links between GI disorders and autism. Sections on feeding difficulties offer interventions and behavior change techniques. A final section on nutritional considerations discusses evaluation of nutritional status, supplementation, and dietary modifications with an objective look at the science and theory behind a variety of nutrition interventions. Other theoretical interventions are also reviewed. Autism Movement Therapy® is an emerging therapy that combines movement and music with positive behavior support strategies to assist individuals with Autism Spectrum Disorder (ASD) in meeting and achieving their speech and language, social and academic goals. Its purpose is to connect left and right hemisphere brain functioning by combining patterning, visual movement calculation, audile receptive processing, rhythm and sequencing into a “whole brain” cognitive thinking approach that can significantly improve behavioral, emotional, academic, social, and speech and language skills. This course is presented in two parts. Part 1 summarizes what is known about the brain functioning of individuals with ASD and illustrates how participation in dance, music and the arts can render the brain more amenable to learning social and language skills. Part 2 is a documentary created by Joanne Lara – Generation A: Portraits of Autism and the Arts, which spotlights – from a strikingly positive perspective – the challenges and accomplishments of eight individuals with ASD. Once considered a relatively low-prevalence condition, autism spectrum disorder (ASD) is currently one of the most common forms of developmental disability, dramatically emerging over the past 25 years as a primary diagnostic condition. Prevalence estimates have increased tremendously over the last two decades, from a median prevalence estimate of about 13 per 10,000 in the years between 1987 and 2004 all the way up to 200 per 10,000 in 2012. Such exponential increases have – of course – sparked heated discussions about whether we are experiencing an “epidemic” of ASD. Among the complicating conditions that frequently accompany ASD are sensory problems that can lead to faulty information processing and further behavioral difficulties. 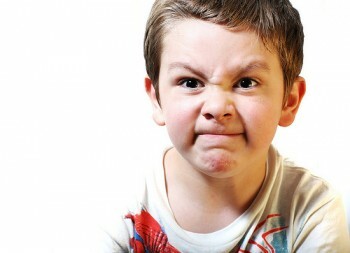 For full descriptions, see http://www.lifehack.org/368575/five-techniques-calm-angry-child-with-autism-spectrum-disorder?mid=20160223&ref=mail&uid=64587&feq=daily. This test-only course provides instant access to the CE test that enables you to earn CE credit for reading a published course book (NOT included in your course enrollment) or share course books with colleagues. You get instant access to the CE test and a direct link to purchase the book from Amazon if you choose. In some cases you have a choice between a print book and an e-book. Successful completion of the online CE test (80% required to pass, 3 chances to take) and course evaluation are required to earn a certificate of completion. You can print the test (download test from My Courses tab of your account after purchasing) and mark your answers on while reading the course book. Then submit online when ready to receive credit. In May of 2013 the new diagnostic criteria for Autism Spectrum Disorder will be distributed to doctors via the fifth version of the Diagnostic and Statistical Manual of Mental Disorders (DSM 5). Think of the DSM 5 as the Bible of diagnostic criteria, developed and written by the American Psychiatric Association (APA). One of the most discussed changes in the DSM 5 Autism Spectrum Disorder (ASD) is the removal of Asperger’s syndrome and PDD-NOS as individual diagnoses. 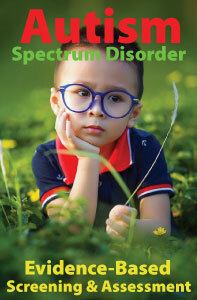 Under the new diagnostic criteria, Asperger’s and PDD-NOS will come under the umbrella of ASD. For example a child whose diagnosis is currently Asperger’s syndrome would receive a new diagnosis of Autism Spectrum Disorder with specifiers included, such as “Autism Spectrum Disorder with fluent speech” or “Autism Spectrum Disorder with intellectual disability.” According to Dr. Bryan King, of the APA’s Neurodevelopmental Disorders Workgroup, this change could mean a decrease in the differentiation of services available to those previously diagnosed with Asperger’s syndrome. (http://autism.about.com/od/diagnosingautism/a/Why-Asperger-Syndrome-Will-Disappear.htm) In layman’s terms this means that some children will benefit from a greater availability of needed services because they have a diagnosis of ASD, rather than Asperger’s.